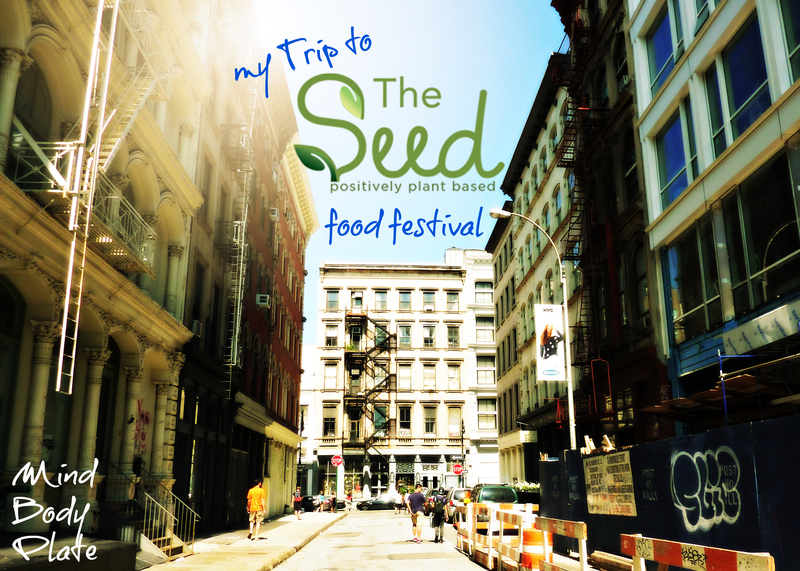 Last weekend I had the pleasure of attending a vegan trade show held in New York City’s Soho neighborhood with fellow foodie and friend Dr. Emma Basch, PsyD. 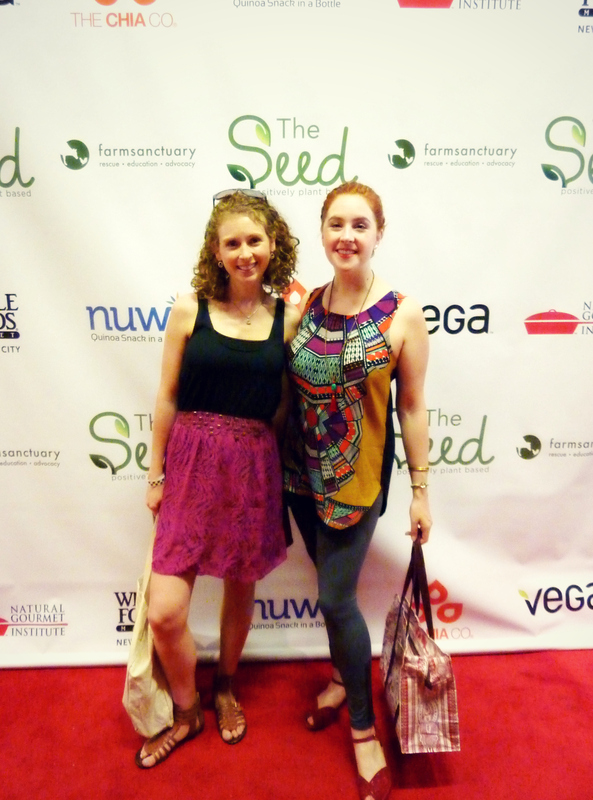 This event was put on by The Seed, a plant-based lifestyle company here in NYC. It was the second of such events I’ve attended with Dr. Basch, and I can’t imagine it will be the last. After all, what’s better than spending an afternoon snacking your way through stall after stall of innovative, tasty, veggie centric food — and with a brilliant partner-in-crime, no less? MindBodyPlate isn’t quite “on the radar” yet, so it’s not as though I had a special press pass or speaking engagement. I was just one of the throng, meeting culinary creatives and lifestyle educators along with the rest. But that’s no reason not to report back to you guys! After all, I came across some really groovy new food items, and I’d love to share them with you. The style of this post is in no small way inspired by two of my blog-spirations, Oh She Glows and Choosing Raw. Angela and Gena are incredible bloggers, and their recaps of various festivals and events are no exception. Keep in mind that these reviews and opinions are my own, and that I’m in no way being compensated by the companies discussed. It’s just for fun… and maybe you’ll spot the products in a store near you! 1) I’m just gonna jump right in and start with my absolute favorite product from the show. Ortaggi makes a “frozen organic health snack made from vegetables with hints of delicate herbs and refreshing fruit juices.” In other words, it’s sorbet – with veggies! These treats may be packed with nutritional powerhouses, but they are perfectly sweet, intriguingly complex, and very refreshing. I loved the “spinach + kale with celery” flavor (no really, loved it! ), and thought the “celery + cucumber with basil” was pretty decent too. I’d like to get my hands on the “red pepper + peach” or “beet + tangerine” flavors – they look amazing! Not sure when these tasty treats will be headed to a store near you, so keep your eyes peeled! 2) I’ve never been much of a ‘chips’ person, so I was surprised to find that I like these chips… a lot. Beanfields is a family owned company that makes bean and rice chips in a variety of appealing flavors. Though the ingredient lists get a little long for my taste on some of the more complex flavors, I was happy to see that the classic sea salt flavor used just five ingredients: black beans, navy beans, long grain rice, safflower or sunflower oil, and sea salt. The Beanfields company is committed to environmental sustainability and eschewing the use of genetically modified crops. A one ounce serving of their snack contains 4 grams of protein and another 4 grams of fiber. And you guys… they’re seriously tasty. 3) Speaking of interesting ways to use beans, Explore Asian’s line of bean-based pasta is a total home run. These noodles are certified gluten free and USDA organic; moreover, they are delicious and have an appropriately pasta-like consistency. They have four flavors (black bean spaghetti, mung bean fettuccine, adzuki bean spaghetti, and soybean spaghetti), each comprised of just two ingredients: beans and water. I personally wouldn’t recommend the soybean flavor, as un-fermented soy is notoriously difficult to digest, but the remaining three flavors are the perfect way to spice up your old pasta routine – and add protein to boot! 4) There were a great many pieces of handmade art for sale at the festival. I really liked this one, but failed to get the artist’s name. However, their signature is in the lower right hand corner, and I thought the sentiment well worth sharing. 5) Most interesting find of the day went to Our True Roots, a company attempting to popularize the edible tubers known as Tiger Nuts. Tiger nuts, also known as earth almonds (Latin name Cyperus esculentus), are a crop known to have been cultivated by the Egyptians as early as the fourth millennium BC. They have a nutty, ever so slightly sweet flavor and are traditionally used to make a horchata-like drink. I tried a few “nuts” and was pleasantly surprised! I imagine they’d be a great way to boost the fiber content of your trail mix. The coolest part of the day by far was meeting a fellow graduate of my school, the Institute for Integrative Nutrition. Maria Marlowe is a certified health coach, speaker, and author who was at the trade show to advertise her new line of plant-based, dairy-free, soy-free smoothie mixes under the moniker Gold & Glow. The product has such integrity and the flavors are beyond delicious. It was so inspiring to see a fellow IIN grad shine like that. I brought home a bag of “Enlightened Energy Organic Superfood Smoothie Mix,” an expert blend of hemp, maca, oats, cinnamon, & ginger. 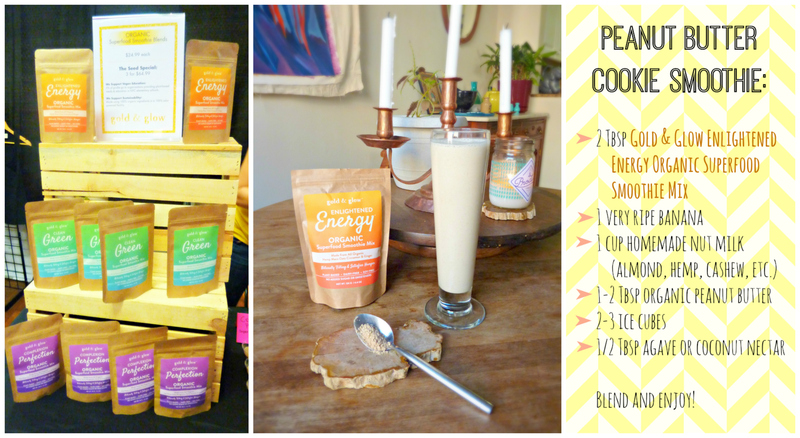 I’ve been using it to create a to-die-for smoothie that tastes like a peanut butter cookie and a snickerdoodle had a baby. I don’t know when her product will be available, but keep your eyes peeled — cause it’s the bomb. 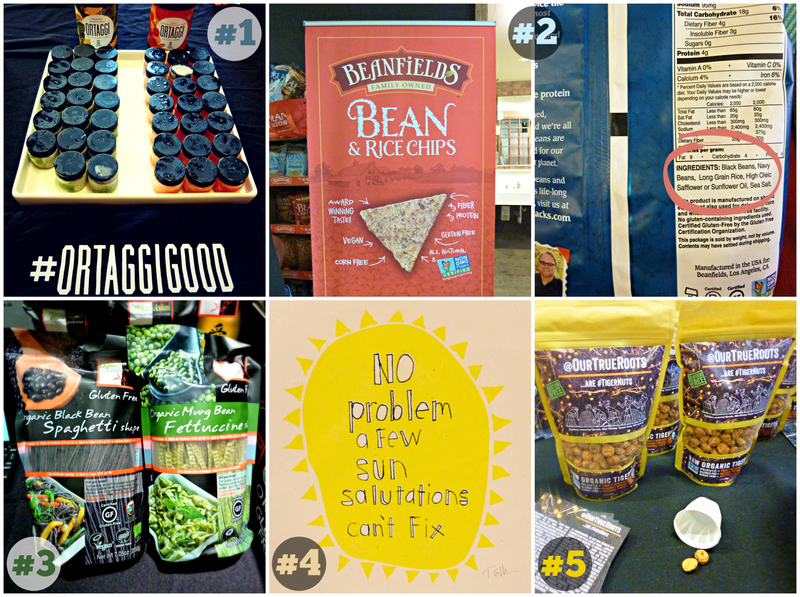 Hope you enjoyed this recap of The Seed vegan trade show! Maybe someday I’ll be more than just a passive observer, but for now it’s a helluva way to spend a Saturday.